The Mad Woman in the Attic | Barbie Who? Hello everybody! I am so glad to be back in the swing of things. I have been making good progress on the Ood shirt. I adore the look of Sticka till Barbie pattern #913, and thus far it has been smooth sailing. We will see how I feel when it is time to stitch it up, but for now I am making steady progress with it. Luckily, this isn’t what today’s post is about. Today’s post is about some of the neat things we’ve found while visiting family. 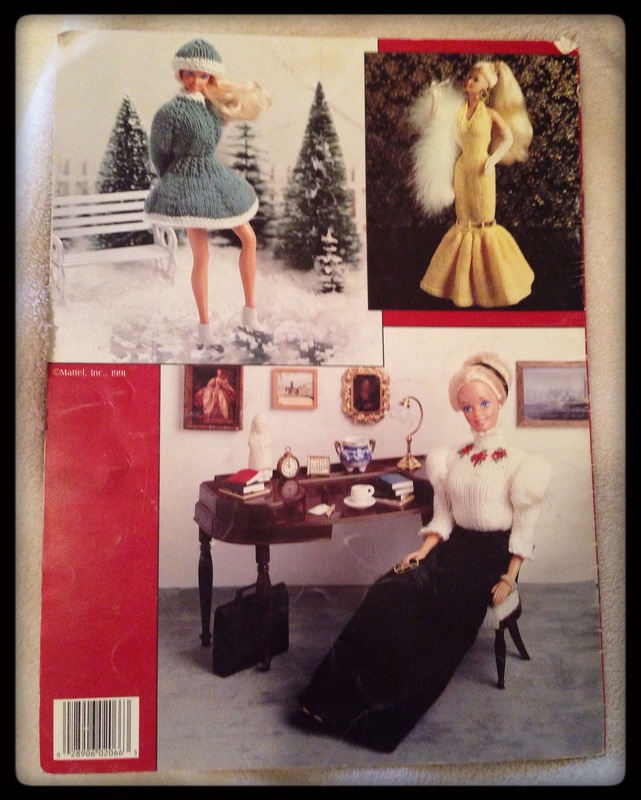 In the first installment in a series I lovingly call ‘stuff we found at grandma’s house’, I bring to you a cool cache of doll patterns. 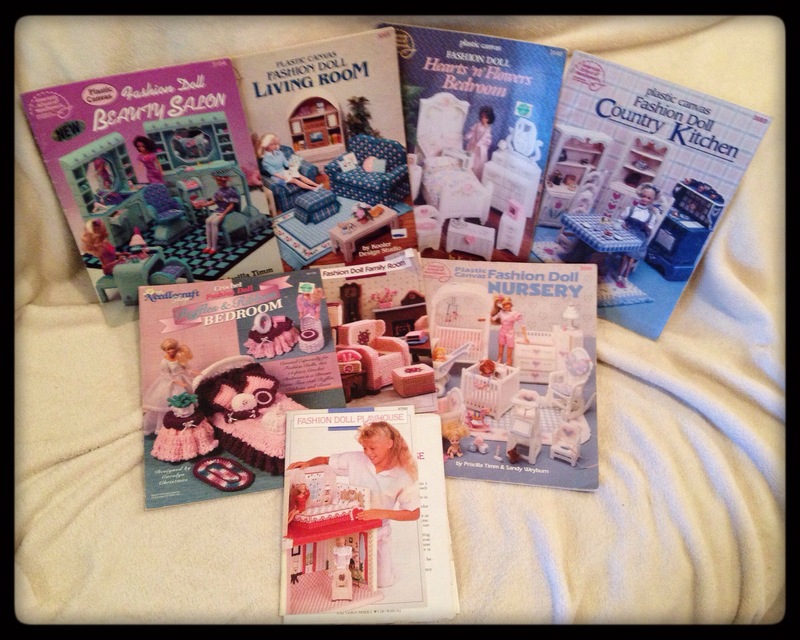 My mother is an avid crafter, and growing up she made us girls a myriad of doll clothes and accessories. During those years, she accumulated a bunch of patterns in books. For those of you who are too young to remember a time before the internet, we used to be limited to the patterns we could find in books at the local craft store or library. My mom amassed quite the collection over the years, and she still uses them to this day. 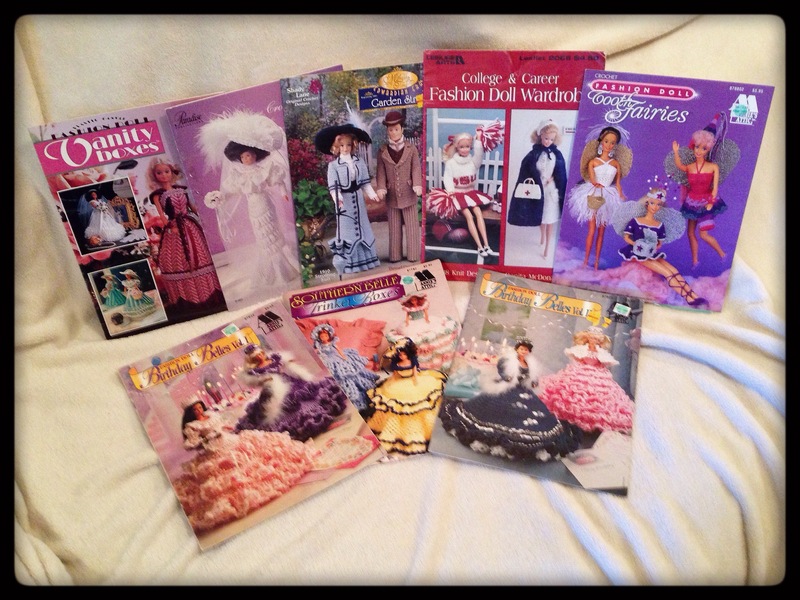 Under the bed in the guest room, tucked inside a plastic container, I sorted trough various crochet, knit, and plastic canvas patterns to find all of the patterns designed for Barb- *ahem* fashion – dolls. I was not disappointed! Here are pictures of everything I found. Unbelievable, non? I am so lucky to have a mom who kept these over the years. We haven’t decided exactly how we will share them, but I am confident that we’ll work something out. I am just so excited about the new possibilities these patterns open. With internet patterns, it is hit or miss on whether they are well written. You generally have much better luck with printed patterns, so I am all the more motivated to finish the Ood dolls so I can dive into some of these. 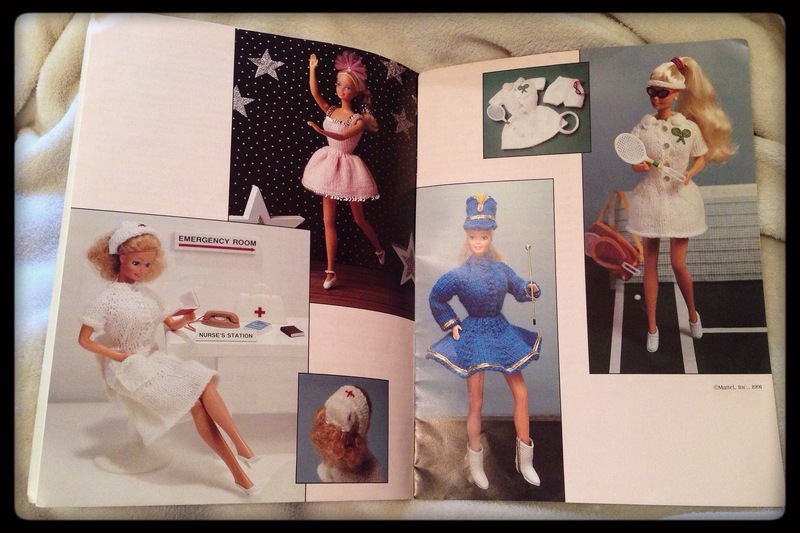 The pattern I am most excited about is the College & Career Fashion Doll Wardrobe. It has 17 patterns that cover everything from nurse to Victorian era lady. I can think of several episodes of Doctor Who that tie back into the patterns in this book, and chances are good that I will choose one of them once I finish the Ood dolls. I absolutely adore the details on the last doll’s blouse. It reminds me of the movie Pollyanna. I also think that the winter ensemble is lovely. That nurse outfit is right up my alley! I am trying to remember whether or not there was a nurse in the Empty Child episode. That episode was amazing in so many ways. I loved the costume design and the overall story. If I can find more children and teenage dolls, I may have to try my hand at making characters from that story. I am also excited by the plastic canvas patterns. I plan on making a few Ood accessories from what is in there. It is just a matter of deciding which one is the most fitting. Ood at the beauty parlor? Ood getting married? So many delightful possibilities. The wedding chapel would be awesome to make to go with the first episode of New Who to make me cry, Father’s Day. Call me an old softie, but it was such a touching story. If I can find a good ginger Ken to be Pete, I will have a go at it. I could make the entire wedding party! It would be extravagant and crazy and just my style. Or Donna! I’ve wanted to do Donna’s wedding since the beginning of the year. Either would make for a fun set. I also like the larger ‘birthday belle’ dresses. I know my mom made one or two of them for my birthday in the 90’s. I keep hoping we’ll find a box with a few more dolls and they’ll pop up. I remember she did one in a peach color, and it was such a lovely dress. There is one more location where they may be hiding, so fingers crossed that I have a bit of luck finding them. That is everything for today! I hope you enjoyed seeing these because I certainly enjoyed sharing them. 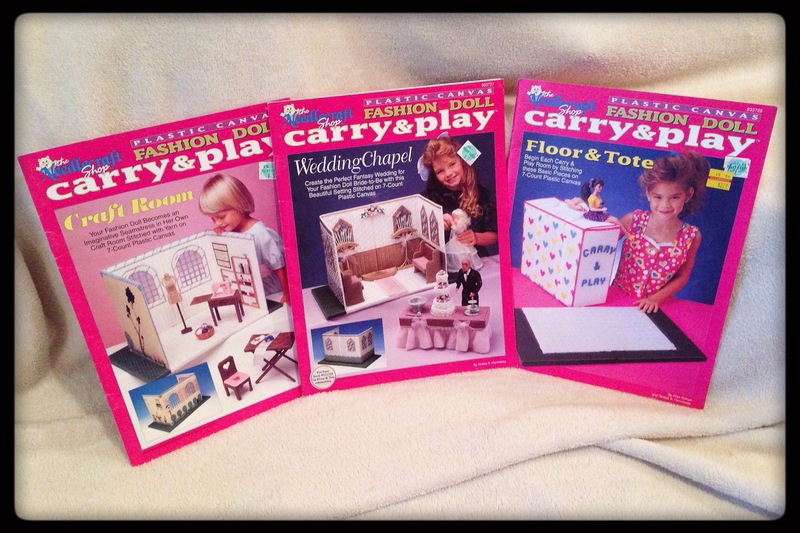 It is always fun to have a blast from the past, and these are very nostalgic for me. I suppose much of Doctor Who gets me that way, too. The mix of new stories and nostalgic throw-backs has always kept me intrigued, even if it takes me a while to warm up to a new Doctor. Until next time, I hope you have a fantastic week. What a great find! I am sure you will find a way to incorporate some of these into Barbie Who. The plastic canvas ought to be a lot of fun. I’ve seen this type of thing for sale on Amazon and they don’t come cheap so you are very lucky. You don’t see many ginger Ken’s around but my sister has had some success painting blonde moulded hair ones to get gingers. I think she used acrylic paint although if he is going to be handled a lot you would probably want to put some kind of sealer on as well. Of course there is always re-rooting but that can be a whole lot of work. I do hope you do Donna’s wedding because the first and last time we saw Donna she was getting married. Yes it does take time to get used to a new Doctor. I saved the whole last season for months then watched them all over a few days and decided that I liked him played as a mad Scotsman. I never like it when we get a new Doctor and some of them I never did take to. Doctors Six through Eight I really didn’t care for. I am making some great Ood progress, and I definitely think I’ll do a wedding next. I’m trying not to get ahead of myself, but it would be so much fun. I can understand that about 6-8. For me, I never really could dive into 7 and we didn’t get much of 8, so he always seemed like the odd one out for me. I know 8 had more in the expanded universe, but I always preferred the show to anything else. Me too, when I heard there was to be a movie length Doctor Who I was wary and I did feel that it didn’t relate well to the series. I never thought of him as a “real” Doctor Who. After all who counts Peter Cushing from the sixties films? I guess that telemovie did the same job as the f irst Star Trek film. It was bad but reminded us all how much we loved the characters. You make a good point about Cushing. I barely even remember those movies.